We are pleased to offer this new shape Corsa, with the optional extra of front and rear parking sensors you don’t have to worry about squeezing into those shrinking car parks. This particular car is finished in Royal Blue and with it only being a 1.4 makes it a great car with low insurance group and low running costs. You get some great internal features including bluetooth, digital radio, heated seats and heated steering wheel. Vauxhall have also put the heated screen in making sure you never have to stand in the cold scraping again. This car has been through our intensive preparation process including a full 100 point check by a Thame Cars technician along with a fresh service. Once it’s finished it moves on to our Autoglym trained team who give the car a full showroom valet making sure it is close to brand new as we can possibly make it. 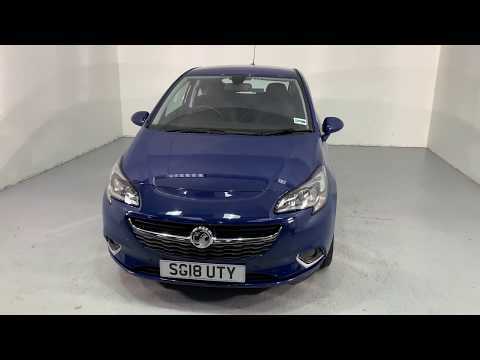 This car also benefits from the remainder of the Vauxhall warranty which expires March 2021. We’re a platinum black horse dealer so feel free to call us for an instant over the phone quotation or go to our website www.thamecars.co.uk for our online finance tool along with 20 photos and a video of every car. With over 70 cars in stock at any one time we will have something to suit your needs.